As we always say, it wouldn't be a Google device launch with a few bumps along the way. If one of those bumps caused you to break your shiny new Pixel 3 or 3 XL, you could be in for a rude awakening. For many owners, there does not appear to be any way to repair the phone right now. Naturally, your first instinct would be to check Google's mail-in repair service. However, it only supports the first and second-gen Pixels right now. Next, how about Google's official repair partner uBreakiFix? According to various reports around the internet, no stores have the parts in stock for immediate repairs and estimated wait times to order them are as long as a month. I've called two local uBreakiFix locations to ask about replacement displays, both of which told me they had no parts and would have to order them from Google. Neither knew how long the wait would be until the order was placed but one estimated it would be a week or more. We've reached out to Google to see when it plans to add the Pixel 3 and 3 XL to the online repair tool and increase the availability of parts. For the time being, hold onto that Pixel 3 tight. If you haven't purchased yet, maybe consider the Preferred Care add-on. That guarantees you an overnight replacement phone if you break yours. Apparently, uBreakiFix has more info. Here's the statement. In full transparency, there is temporarily a limited quantity of OEM Pixel 3 and Pixel 3 XL screens, and we expect to have these parts available at every uBreakiFix location for same-day repairs in the coming weeks. To clarify, uBreakiFix stores are currently able to overnight these parts from our distribution center, and that's what you and your readers can expect until there's adequate supply at every store, which will then enable us to provide same-day repair service for these devices. 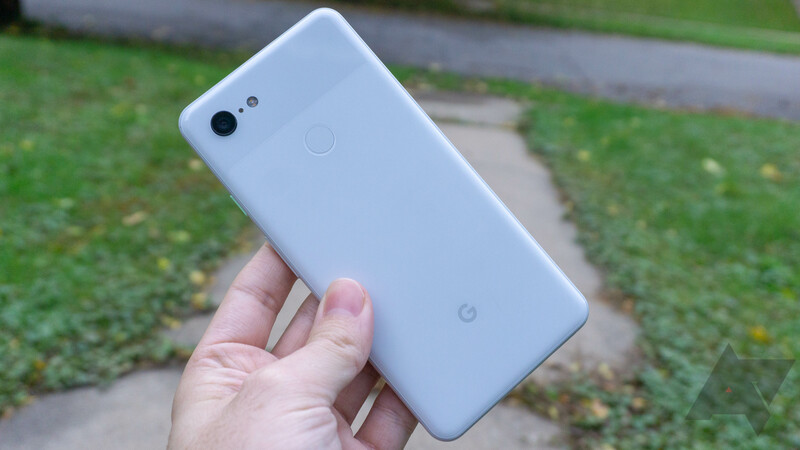 We've outlined this process to all of our stores, and we want to make sure your readers are aware that they can get their Pixel 3 and Pixel 3 XL devices taken care of. So, it will have parts in all stores within a few weeks. Additionally, stores can have parts overnighted from its distribution center. When I talked to stores, they said the parts would be ordered from Google and could take a while. Some stores may not be aware of the distro center supply.